I was never a fan. I was never one of the many millions of girls who scream 'I Love You, Pioloooooo!' each time they see him. In fact, way before this project landed on my hands, I had no idea how far the extent of his yumminess popularity was to girls, women and cougars alike. The one time our team hung out at his unit, I actually did not ask for a photo with him but his assistant Moi (also known as Elena from the movie Kimmy Dora.) I was that clueless. 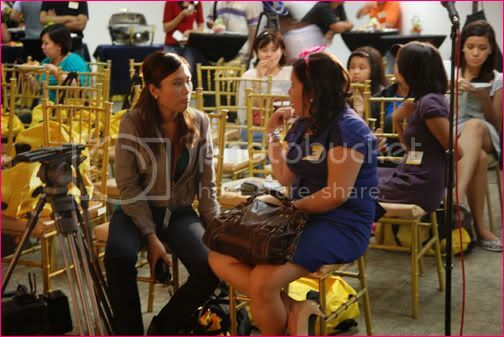 as I was part of the event organizers and didn't really have time to pose, yikes. 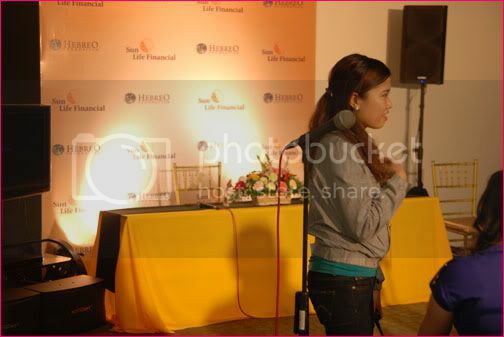 Recently, our company (particularly, our team) had a collaboration with Mr. Pascual himself. Entitled "SunPIOLOgy 2010 Desktop Calendar," it showcases the photos taken by Mr. Pascual during his travels in the Philippines, Asia, parts of Europe and North America. "Because of my work, I travel a lot. Landscapes never fail to take my breath away, whether natural or man-made wonders like famous structures, " he says. During the early stages of the calendar's development, I have to share that this was the time I have grown fond of his talents. Sure, he is a great actor and he's proven that many, many times already. But being someone who's worked with him a couple of times, I've seen the way he is very careful with the work he attaches his name to. I particularly was amazed that he was incredibly concerned with the autographed calendars and he wants each of it to be personalized with individual names. More than that, before all of these, I only discovered that he founded a charitable organization along with his siblings Chiqui Gonzales and Pam Shoaf. "It is the single, most promising opportunity you can give to ensure a good future. We want to help those who help themselves, and we do that by sending them to school." Piolo explains why this photo, taken at Normandy, France, is his favorite of all. Through SLFP's agents', employees', clients', friends and media's help, we have been able to raise Php 100,000 before the launch and thus was able to turn over to Hebreo 12:1 Foundation last December 8th. During the event, two framed and autographed photos from Mr. Pascual's collection were auctioned off, thus bringing in an additional Php 52, 000! You, too, can avail of this calendar and help a kid go to school by going to your nearest Fully Booked! 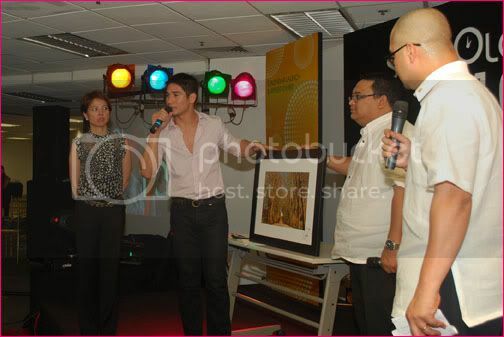 branch or by visiting www.sunpiology.com.ph to bid on the framed and signed photos. It's easy to say that a man (or a celebrity for that matter) has a good heart when you see his name attached to charities and such. In my case, I saw a celebrity with a good heart when there were no cameras around and even if there is no talent fee, whose temper never rose, no "I'm a celebrity complex" and who was very patient and was kind to his adoring and screaming fans. I've been asked many times on what's he's like in person and all I can say is that he is extremely nice to work with. If anyone will ever fish for negative comments from me, there is none that I can say. So I guess you can now say I am now a fan who admires this actor/singer/producer/photographer/philanthropist. *Photos by Allan Samantila and Rhedd Viray.